euforia - Join our imp!act teams Geneva or Zurich! 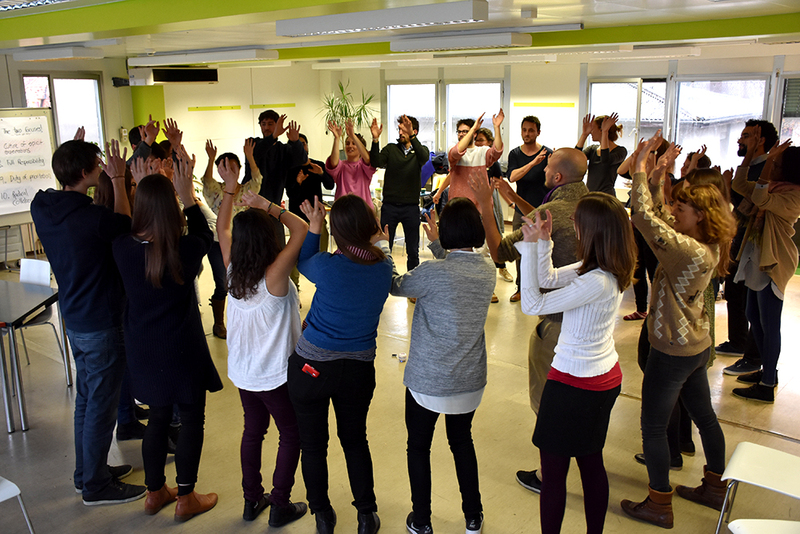 Last weekend, our new imp!act teams Geneva, Zurich and St.Gallen met for the first time at the (r)evolution lab main training weekend and started working on their imp!act events for spring 2017. The teams are super motivated and have already developed great ideas to make imp!act happen successfully in the three cities. However: they're looking for support! imp!act teams Geneva and Zurich are still looking for team members who participate at (r)evolution lab and gain there the skills to co-organize the imp!act events. The (r)evolution lab is a space where you can connect with like-minded people for an innovative and experiential learning journey towards the organization of your own imp!act event in April/May 2017. It allows you to share, learn and experiment a wide range of highly professionally valued skills and knowledge, such as team and project management, leadership, facilitation and wellbeing strategies. Within the RevLab you also experience a different kind of working culture based on co-creation, radical collaboration, pushing boundaries and euforias oooops-culture (daring to try and fail). The next trainings are from 3-5 February 2017 and 10-12 March 2017. In between, the teams meet regularly in order to prepare their imp!act event. Interested? Get in touch with us on revolutionlab@euforia.ch!